The lull following Elliott Management becoming Interpublic Group’s third-largest shareholder has been filled in recent weeks with swirling rumors about who might buy the No. 4 holding company. The banter persists even though Elliott, an activist hedge fund run by Paul Singer, has yet to even meet with IPG CEO Michael Roth, three weeks after amassing 28.3 million shares of IPG’s stock, according to sources. What’s fueling chatter about potential buyers is that Wall Street sees industry consolidation as inevitable, despite the May collapse of the megamerger of Publicis and Omnicom. Also, even before Elliott took its 6.7 percent stake, IPG was a likely target, given its place in the middle of the ad pack. We’re No. 2! Combined, IPG and Publicis would generate more than $16 billion in revenue and employ some 106,000 staffers, which still would be smaller than market leader WPP but larger than second place holder Omnicom. While not as big a deal as l’affair Omnicom, it would be a takeover, not a “merger of equals.” So, Publicis could put its people in the top jobs without having to negotiate with the other company, as it did, fruitlessly, with Omnicom. There are also client synergies, as Publicis and IPG both work for General Motors, L’Oréal and Nestlé. Still, would Publicis pay the top dollar that IPG (and Elliott) would no doubt seek? An IPG deal would be a big step up for Dentsu, the current No. 5 ad player, which with IPG would supplant Publicis as No. 3. 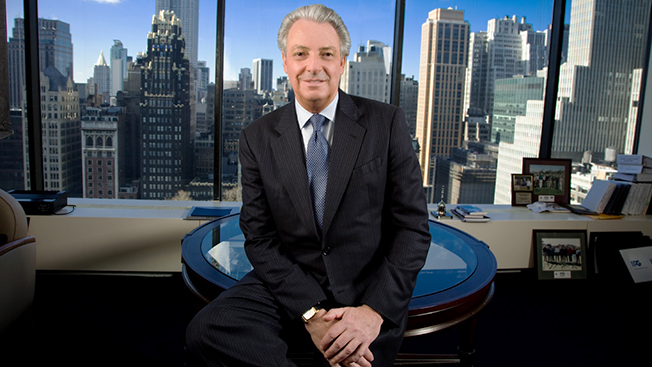 IPG plus Dentsu would have more than $13 billion in revenue and about 82,000 employees. Collectively, their media agency portfolio would rival WPP’s, with a half-dozen units, including Carat, UM and Initiative. In short, after years of fits and starts, Tokyo-based Dentsu would become a bona fide global leader with agencies in all major markets. That said, this deal would be twice the size of Dentsu’s purchase of Aegis Group and would require a sizeable percentage of cash. Too rich for Dentsu’s blood? Behemoths like IBM and Accenture that have invested modestly in marketing services would suddenly become big players in advertising. And both could easily afford IPG, with revenue of $7.1 billion and a market capitalization of $8.2 billion at last week’s share price of more than $19. (In contrast, IBM and Accenture generated revenue of $27 billion and $28 billion, respectively, last year.) Still, why would IBM in particular, after years of shedding lower-margin units, add a company that’s people-heavy and has an industry lagging operating margin of just 9.3 percent?